A supershape foil balloon measuring approximately 42 inches x 25 inches. 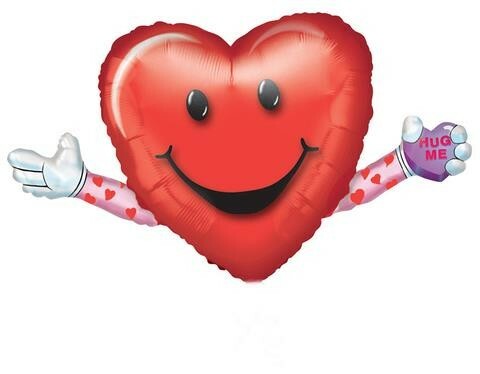 Large smiley red heart holding his arms out for a hug. This foil balloon is printed the same both sides. A helium quality foil balloon that can also be air filled.